Take yourself into a space of style and luxury in your outdoor area, somewhere where comfort and prestige go hand in hand… let us present the phenomenal urban design of the Westside Outdoor Aluminium Sofa in gorgeous Charcoal. 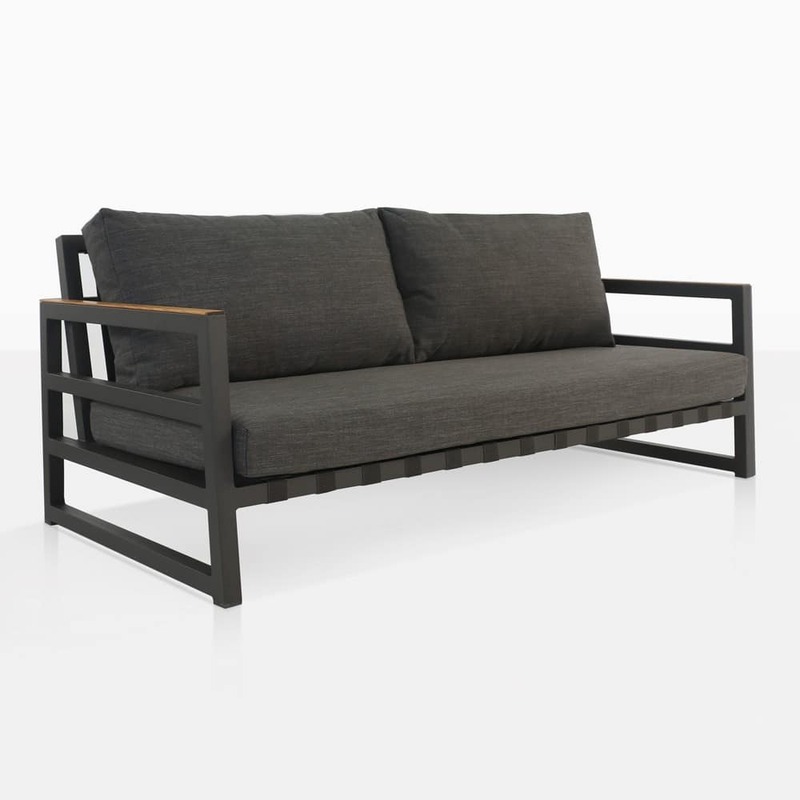 A charismatic and contemporary piece of outdoor furniture, the Westside Aluminium Charcoal Sofa is in keeping with the terrific Westside Collection, one that gives a space new life with its minimalistic and modern design, lovingly structured with top of the range materials, bringing comfort, quality and sophistication to the forefront of your furniture. Westside reflects modern architecture with strong, linear lines showcasing the dark charcoal aluminium and plump, soft Sunbrella® cushioning which is enough of a contrast against the hard lines to create a welcoming and terrific space for relaxing, entertaining and more. 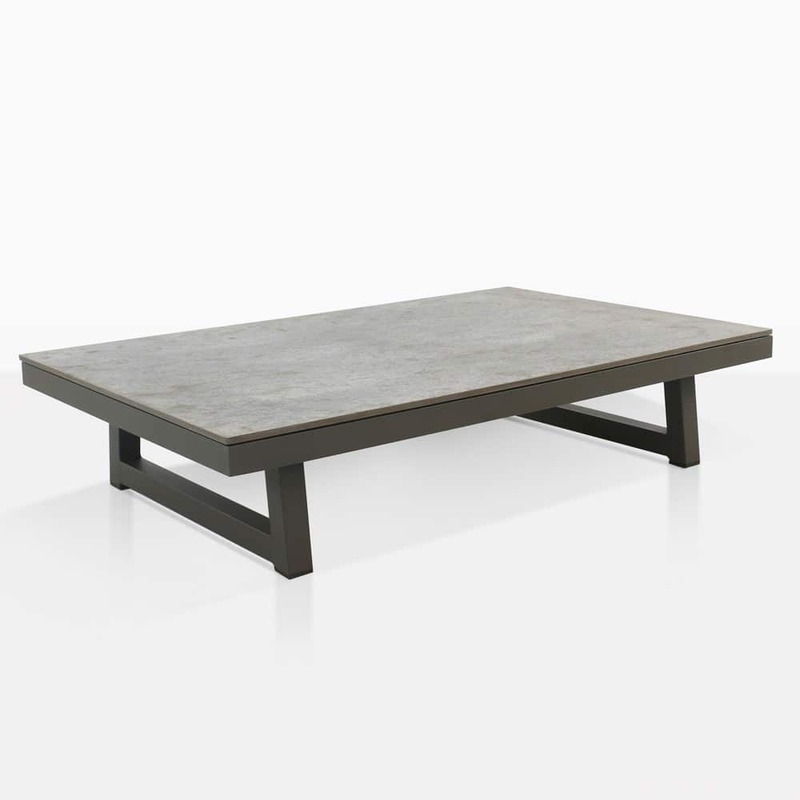 Situate your Charcoal Westside Outdoor Sofa on your verandah with a long thin coffee table for a perfect area for morning tea or afternoon relaxation! Imagine a courtyard filled with Westside – situate a Sofa with two or three Westside Aluminium Club Chairs flanking each side, and place a big, beautiful teak coffee table in the centre and adore the blend of chic, tasteful materials in the comfort of your home. 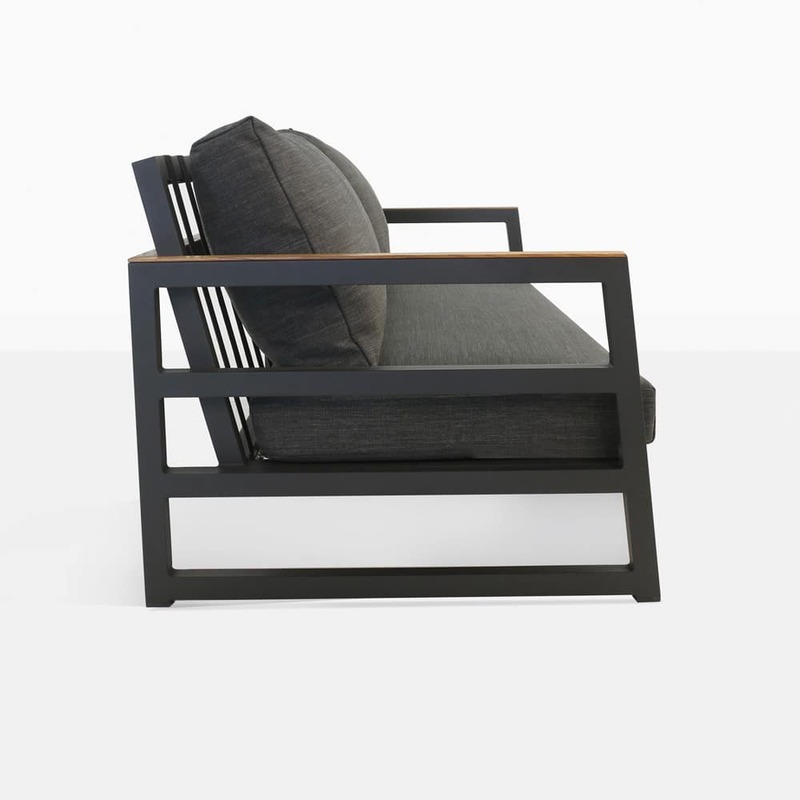 This exquisite Sofa is not just suitable for outdoors! Set up this gorgeous piece of furniture in your office or home for a unique, modern influence to your interior design. Made from the finest products suitable for outdoor use, the Westside Collection doesn’t just pack a punch in the style department, it is luxurious and of the highest standard. 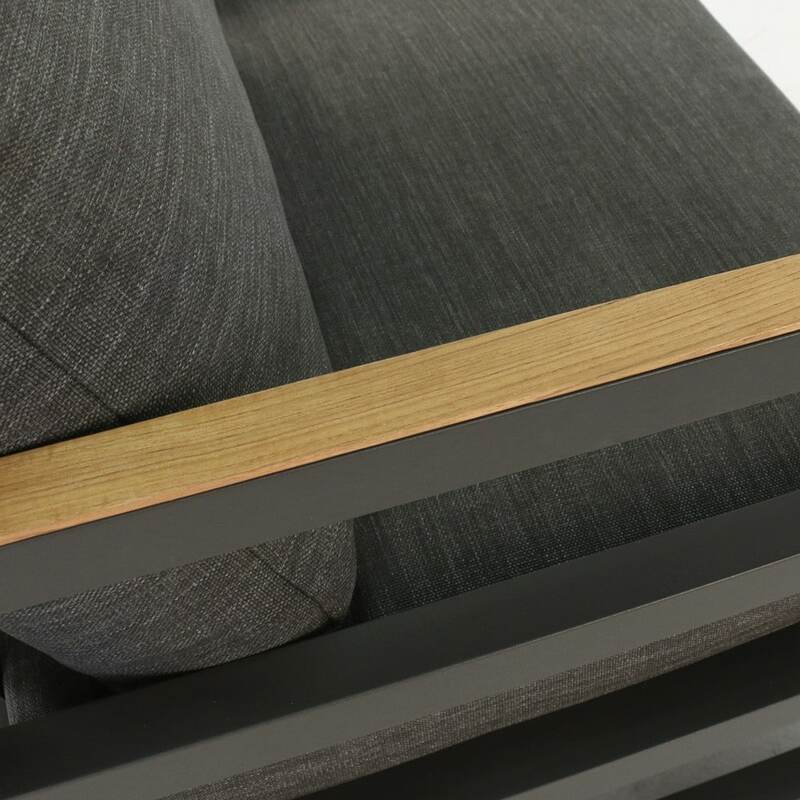 Built on a charcoal powder coated aluminium frame, giving it an attractive appearance and touch as well as giving additional protection from the changing elements. The Westside Outdoor Sofa comes with free cushions as shown, which we are pleased to inform you also boasts top quality, all weather principles! Covered with Sunbrella® fabric and filled with QuickDry® foam which gives it not only a superb appearance, but protects the cushions from deterioration. 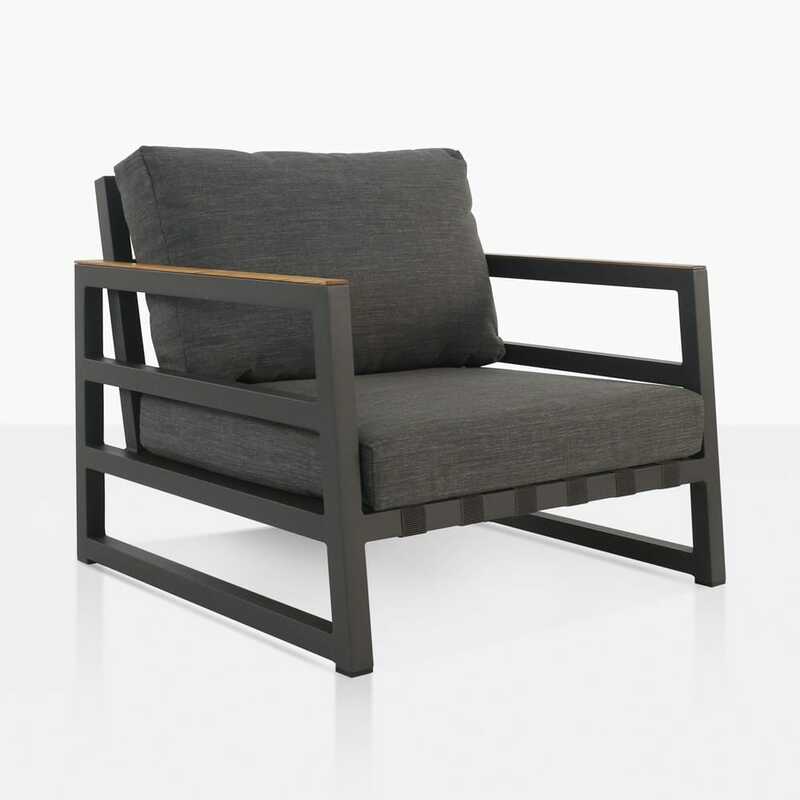 Design Warehouse paves the way for stylish, quality, luxury outdoor furniture. Whether you need deep seating or dining pieces to get the best of your outdoors, we have everything you need in our vast Parnell Warehouse. We deliver all over New Zealand, so whether you’re in the snowy south or the dryer far north, we can cater to you! The Westside Aluminium Sofa is an extraordinary piece from a divine collection. 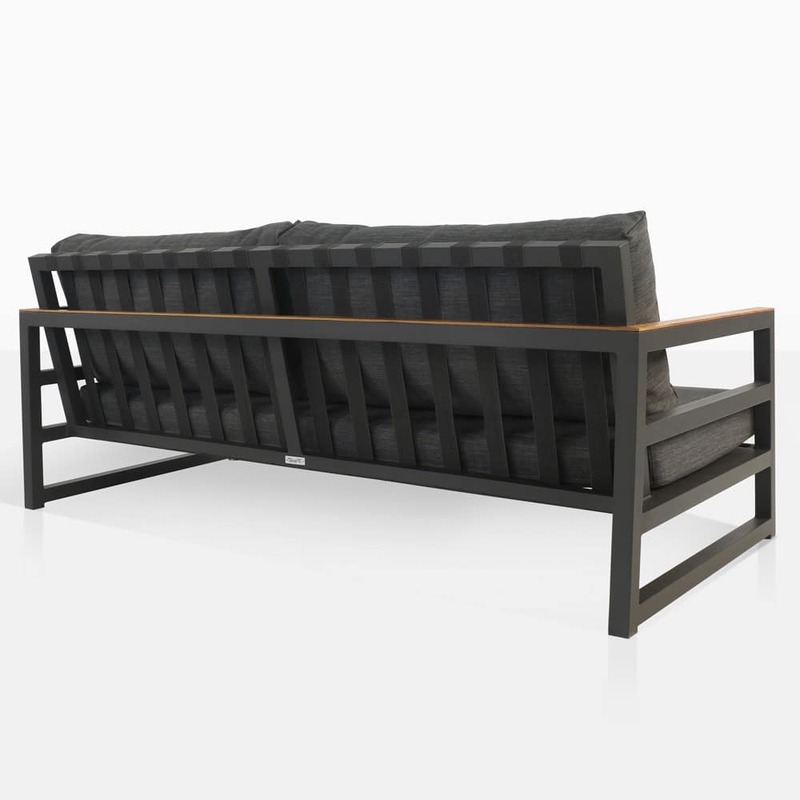 Call Design Warehouse today to order your Westside Sofa and get ready to enjoy the chic life.